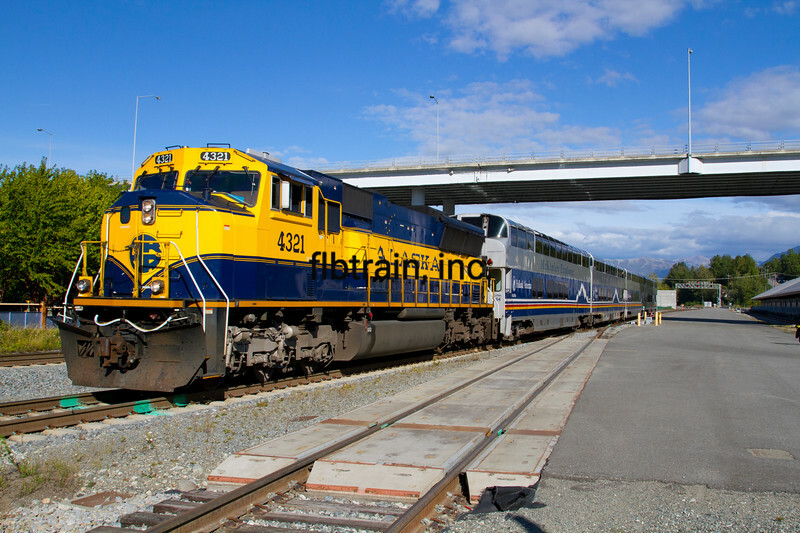 Alaska Railroad Holland America McKinley Explorer arrived from Denali & the north and off loaded the passengers heads for the roundhouse & coach yards to be serviced. Motor is SD70MAC 4321. Anchorage, AK, 8/23/2015.